SoftBank Group Founder and Chief Executive Masayoshi Son, already one of Asia’s richest men, may have just added billions into his pocket from Thursday’s trading session. As of 12:57 p.m. HK/SIN, SoftBank’s stock traded at 9,947.0 yen per share, a 17.55 percent gain over its last close at 8462.0. Son owned 231,205,000 shares in the Japanese conglomerate as of Sept. 30, 2018, according to the company’s website. If that number is still accurate, then that would mean Thursday’s stock move made Son about 343.34 billion yen ($3.12 billion) richer. The massive gains on Thursday came after SoftBank Group announced what one investor called an “enormous” stock buyback on Wednesday. SoftBank Group said it would repurchase 112 million shares worth 600 billion yen (approx $5.46 billion) in the next 11 months, or about 10.3 percent of its total outstanding shares, excluding treasury stock. That came as the company announced a more than 50 percent surge in its net income for the first three quarters of the fiscal year. 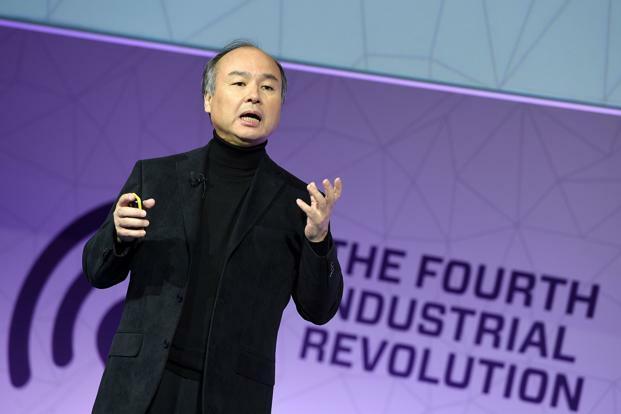 SoftBank has been thrust into the spotlight in recent years as a result of its Vision Fund, which has shaken up the global technology landscape. The fund has invested in companies such as WeWork operator The We Company and ride-hailing giants Uber, Didi Chuxing, Grab and Ola. According to Forbes’ real-time tracker, Son has a net worth of about $21.4 billion.